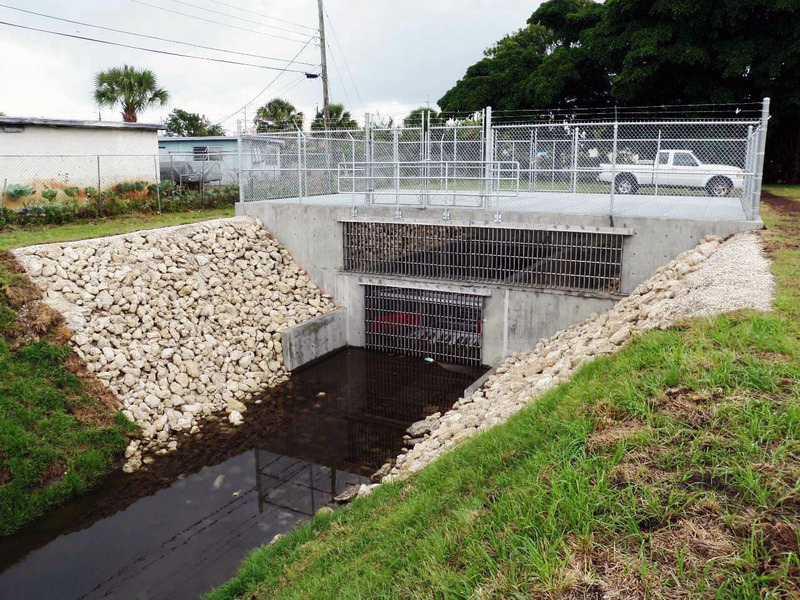 Riviera Beach’s RC-4 Canal Water Quality Improvements - Alan Gerwig & Associates, Inc.
AGA provided structural engineering services from design through construction administration. The project included a 1,260 sq. ft. cast-in-place baffle box structure constructed within the existing RC-4 Canal; including bar screens on the upstream retaining walls and tie-in to the existing 66” diameter RCP downstream. A galvanized steel grating system was provided to restrict unauthorized access and for improved maintenance access to the baffle box.